A lot of the people on my Facebook and Twitter feeds who haven’t been enjoying Series 11 seemed to cheer up this Sunday, as they actually really liked Kerblam! As someone who's been reasonably positive about the series so far, I agree with them. 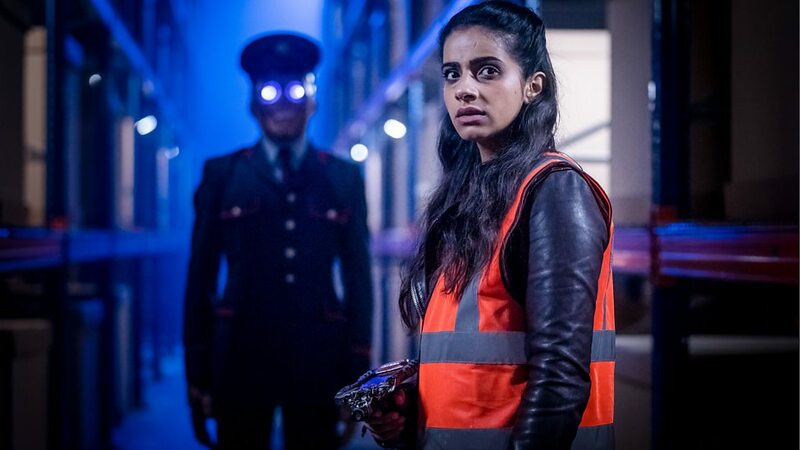 It’s interesting how even those bores whinging about Rosa and Demons of the Punjab adding ‘social justice’ messages into Doctor Who as if that’s a bad thing have shut up this week, given that this is just as political an episode, and that’s possibly because its contemporary commentary is weaved in with as fast-paced, action-packed and witty a sci-fi adventure as anyone could want from Doctor Who, in a way reminiscent of the Russell T Davies era (and indeed Oxygen from Series 10, with which this would make a good double bill). You could go through a checklist of everything you’d expect to see in one of those beloved RTD episodes and Kerblam! has them all. Great monsters, tick. Sinister subversion of everyday thing, tick – not gonna stop me popping all the bubble wrap I get, though. Great guest cast, tick – I wasn’t sure about Lee Mack being in Who but the role is perfect for him. 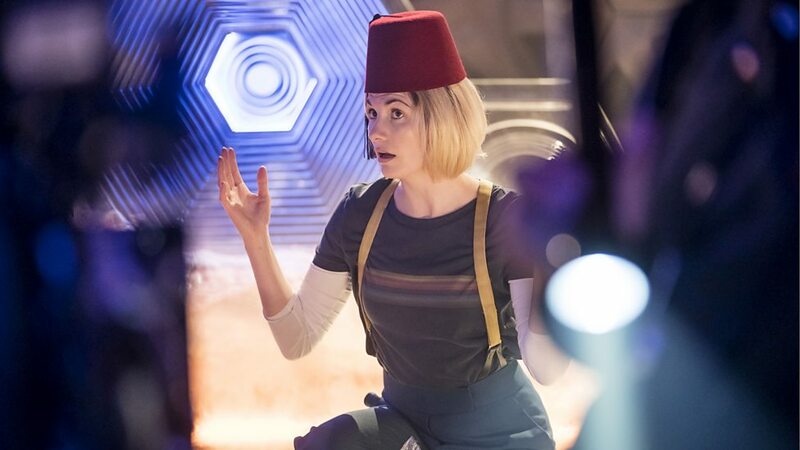 Sense of humour, tick – in fact, the most laughs of any episode in Series 11 so far. I loved Twirly the self-doubting delivery bot, and the return of the fez. Still cool. And the fact that it’s about a big company with a bigger conspiracy literally underneath it is very RTD, isn’t it? That conspiracy plot plays out perfectly thanks to an incredibly well constructed script from Who newcomer Pete McTighe – twisting without being convoluted. It’s one that rewards second viewing to appreciate how its pieces fit together – a contrast to the mucky plotting of the four Chris Chibnall-penned episodes, where second viewing reveals how they don’t. The only jarring moment is Charlie’s unexplained decision to run into a field of bombs and let himself be killed. Oh, and the presence of a ‘panelled alcove’ with the sole purpose of being hidden in, but maybe all corporate HQs in the future have those. It also nails the job of giving all four leads something to do that's actually relevant to their characteristics, justifying the three-companion dynamic more than other episodes have managed to; Ryan's dyspraxia comes into play and we see him overcoming the difficulties it causes him, while Yaz gets to show off some moves presumably taught to her in police training when dealing with an aggressive robo-postman. What really escalates this episode, though, is the satirical edge. Like the best sci-fi, it uses the tropes of the genre to be about something contemporary, and it’s one of those rare concepts that’s so perfect for Doctor Who that you wonder why it hasn’t been done before. Jobs been taken by machines is not only an increasingly current issue, but one well suited to being explored through the medium of evil robots with glowing eyes. Through the completely fictional company of Kerblamazon, sorry, Kerblam, McTighe’s script asks us to think about what’ll happen when labour can be automated, and when humans are there to fill minimum quotas imposed upon companies that treat them with little respect. Again, this company is completely fictional, though I wish the planet had been called Kerblam too, so that its star could be Kerblam Prime. That said, the ending isn’t as optimistic as it thinks it is in its celebration of the fact that 90,000 people are now going to be given jobs that robots could do, because capitalism says that they must in order to live. It seems that the episode tries to counter this by having the character of Kira actually like her job, but that only highlights the fact that the majority of the workforce aren’t going to be as improbably cheery. Surely the utopian ending here would be for society to adapt so that people can be provided with a quality life without having to do unnecessary work, rather than this luddite ‘down with robots’ thing. History shows that technological progression will inevitably win out over luddism, and in the long term usually for the better of society. Is the Doctor on the wrong side of progress for once? Then again, shifting the universe to a state of fully automated luxury communism akin to an Iain M Banks novel might be a tall order for the two or three minutes the episode has in which to wrap up. We can console ourselves with the assumption that this is set before Oxygen, at the end of which Peter Capaldi’s Doctor makes the bold claim to have ended all capitalism everywhere ever. But even if its message is a tad muddled, Kerblam! may well have started some discussions about the issues it touches on, and either way, everyone liked it, it seems. The best praise with which I can sum up this episode is this – if in a few years time, I find myself hungover on a Sunday morning, see that Series 11 has appeared on Netflix, and want something to distract me while the paracetamol and bacon kick in, I’m absolutely picking Kerblam!